Seeing one of these is kind of like seeing a ghost since most have died. Said to have only 116,000 miles, it was fastidiously maintained up to 90K by its first owner, who kept a log of every service. 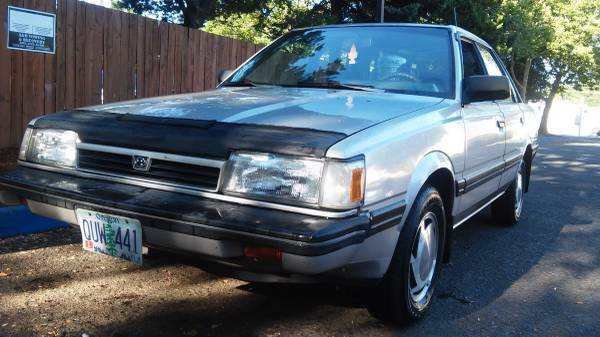 The paint is a little oxidized and has some scratches, but is still serviceable for a 25-year-old sedan. 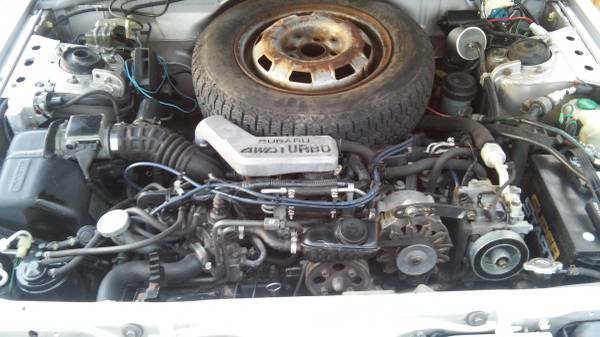 The seller has only owned the car for 7 weeks, and claims to have bought it for his girlfriend. However, things have mysteriously changed (ah, the ups and downs of a boyfriend-girlfriend relationship) and they now no longer need the car, although confusingly, it’s the seller’s daily driver and mileage is said to be going up every day. 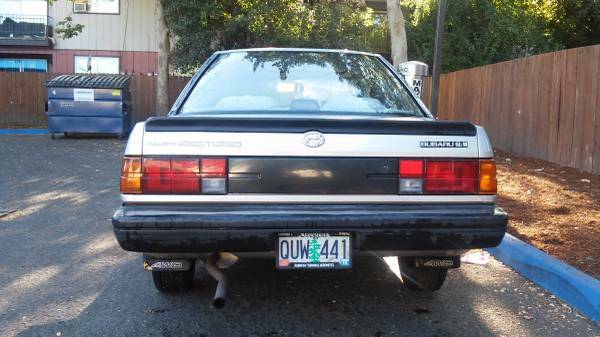 Here’s the aforementioned, excessively wordy rear end. There’s a lot of information going on here, but beyond all that, you’ll be happy to know it comes with a 5-speed manual transmission, as quite a few of the survivors are lumbered with an automatic. The listing is written in a friendly, informative voice, and the car is also said to have a clean trunk, functional and leak-free sunroof, and newer tires, and no mechanical issues. Because you popped for the top-of-the-line GL-10 Turbo, you get a sweet digital dash readout, what looks like cassette storage, and tufted fabric seats (totally in keeping with the sporty, modern styling, no?). 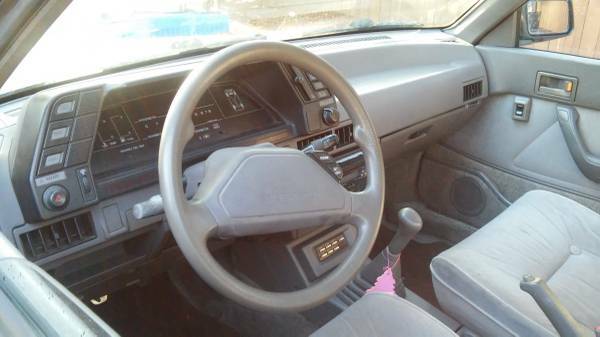 The hideous steering wheel is nearly as wrong as the wheel on a Jensen Interceptor, and it looks like the seller didn’t have to cut the door panels to install the mentioned Kicker speakers. The only issues mentioned are a stereo deck, which the seller broke, and air conditioning which looks to have been disconnected for years, while heat and fans are said to work well. There is also some water inside the passenger corner light, and the rear passenger door has a weak window motor and won’t open from the inside. Odd that there’s a VW wheel as the spare – perhaps a previous owner wanted a full-size in place of the stock mini-spare? Best to make sure the bolt circle is the same before you really need it. For that matter, you’ll probably want to replace the spare – based on the tread pattern, that’s an ancient tire and it’s right over the turbo, so it’s probably ready to fall apart as soon as you put some pressure on it. Everything else under the hood looks in clean driver condition, so if you’ve been looking for 115hp of turbo fury (you’d hope the torque would make up for it, so if you’re good with 134 lb.-ft., have at it), here’s your best bet! This entry was posted on September 15, 2015 at 3:17 pm and is filed under Driving. You can follow any responses to this entry through the RSS 2.0 feed. You can leave a response, or trackback from your own site.